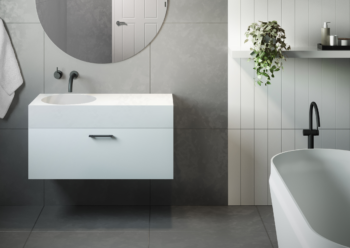 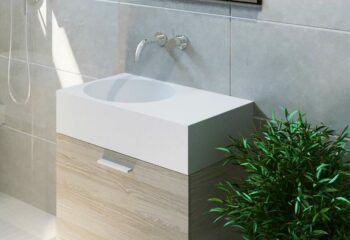 The Geo single Washplane® offers a strong uncomplicated design with its generous structure and sharp lines and is a beautiful centrepiece for your bathroom or powder room. 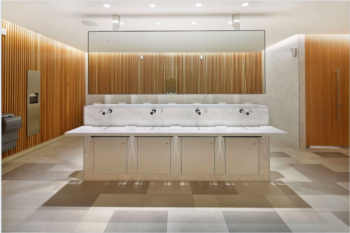 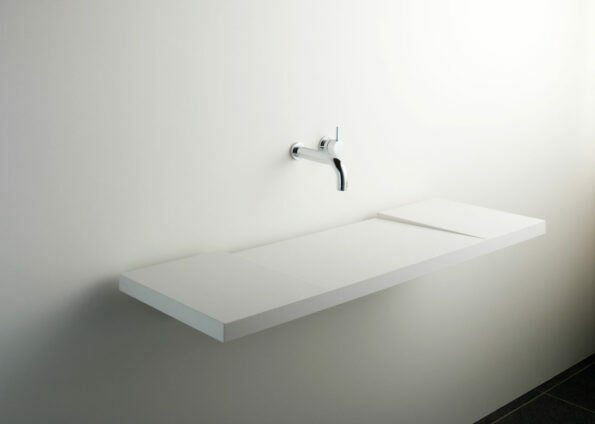 It is particularly suitable for commercial projects, providing a contemporary, functional option that can also be custom made to suit large areas. 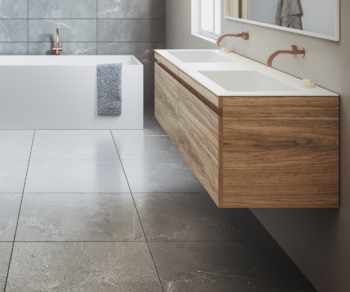 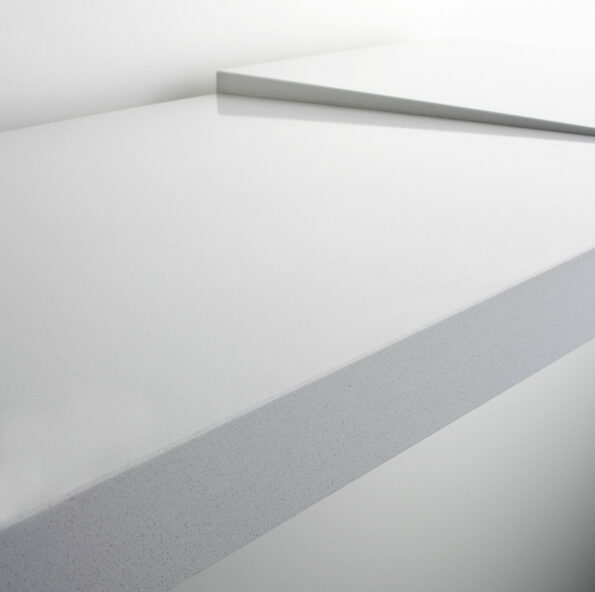 Manufactured from Caesarstone® it has a smooth polished finish that is hard wearing, durable and available in a variety of sizes. 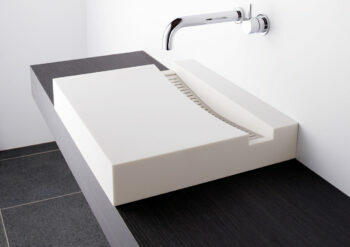 The Geo Washplane® is supplied with hardware and drainage system which is installed into a cavity wall. 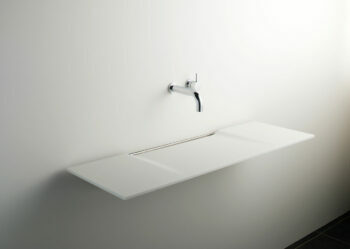 Also available in a double Washplane®. 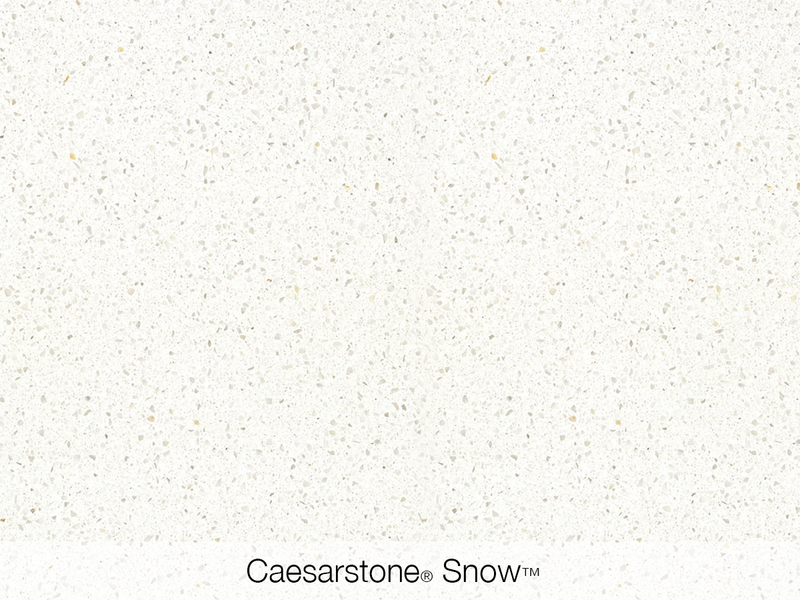 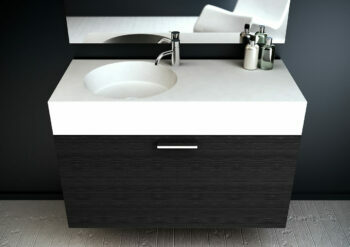 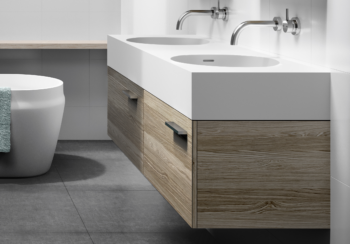 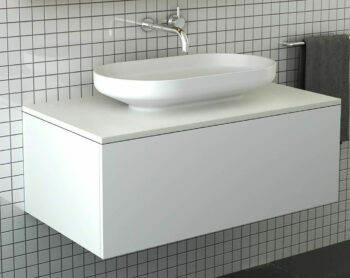 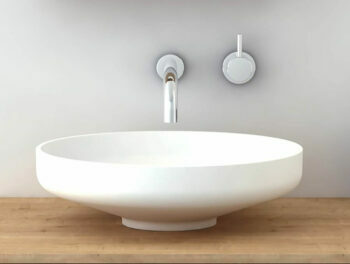 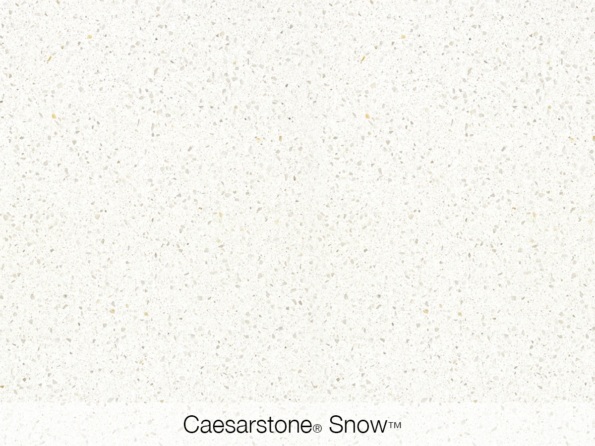 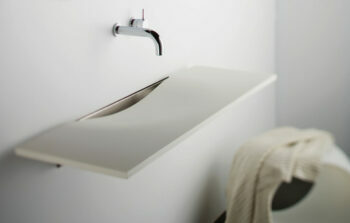 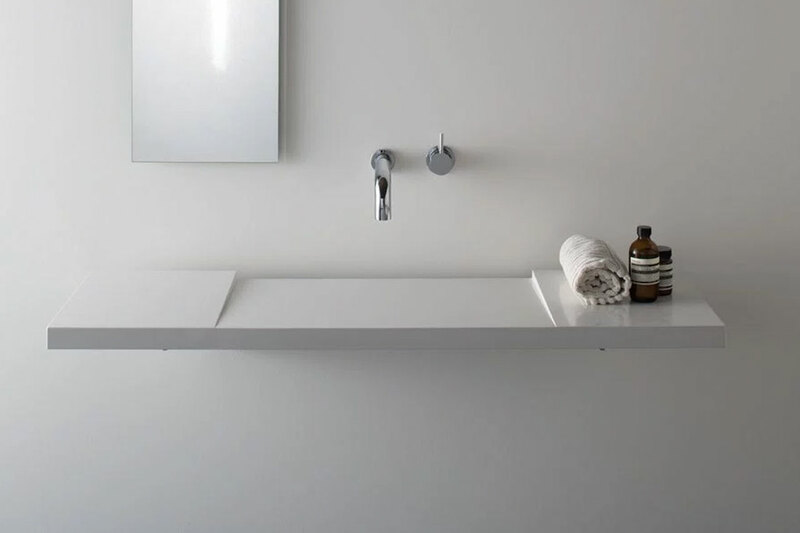 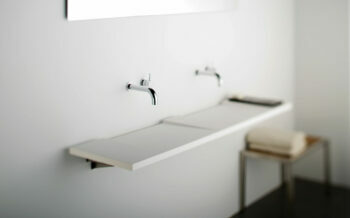 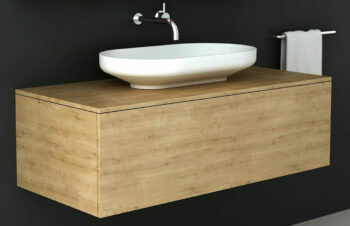 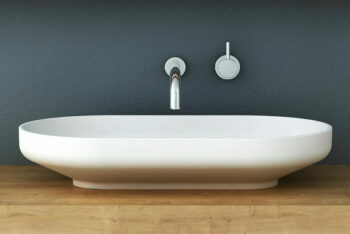 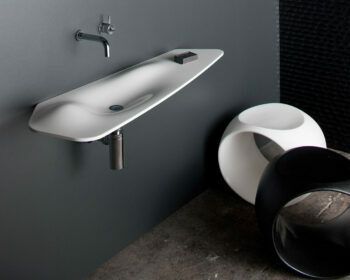 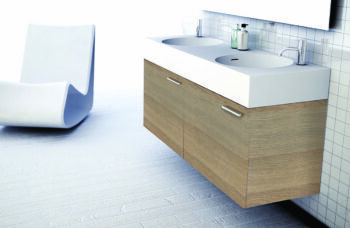 In Australia, the Geo Washplane® in Caesarstone® Snow™ is available exclusively through Reece Bathrooms.